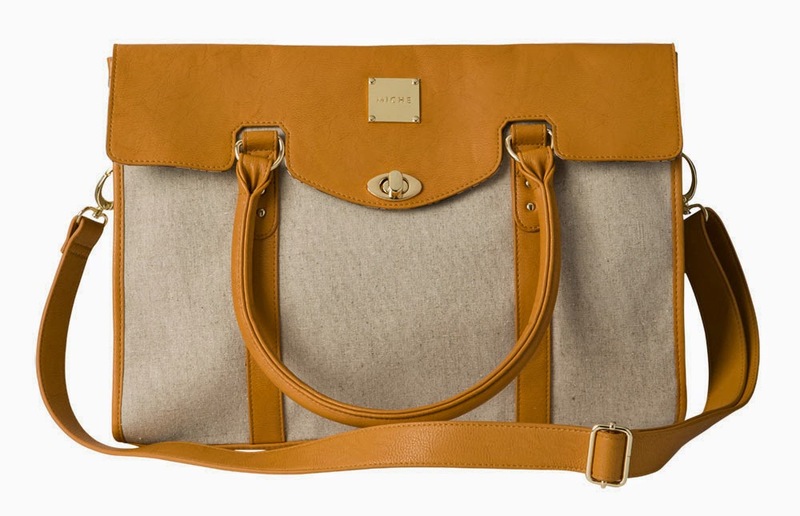 Vienna Satchel is sturdy cotton linen-blend in oatmeal features butterscotch faux leather trim and flap closure with turn-lock hardware. Roomy interior features two interior deep open pockets and large zippered pocket, holds a 13” laptop comfortably, and is lined with a fun plaid fabric in butterscotch, blue, cream and rose. Dimensions: 15 ¾” x 10 ¾”. Gold hardware.